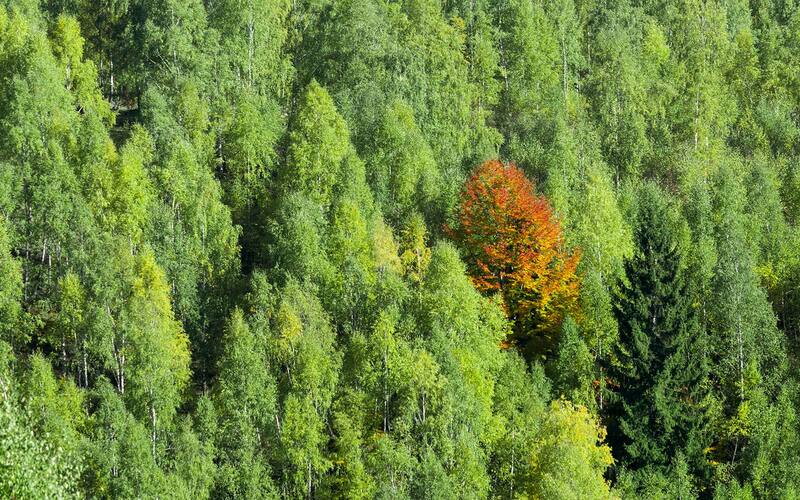 The macabre poet is best remembered in October. 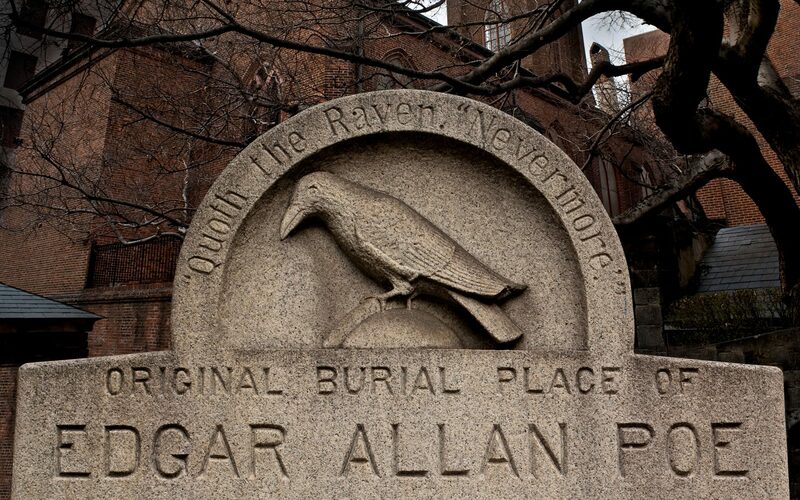 October is a beloved time for haunted sights and ghostly attractions, and the month is also perfect for exploring the historical sights and favorite stops of Edgar Allan Poe. Poe, whose poetry weaved together mystery and macabre, died Oct. 7, 1849, but he left behind a legacy that lives on. During the month of October—or “Poe-tober”—destinations put on a series of events in Poe’s honor. Though some of Poe's favorite haunts have not survived time as well as his writing, fans can still delve into the writer's mysterious world at some of the historic sites connected to him. Poe was born in Boston, Massachusetts, but grew up in Richmond, Virginia, which he considered home. He spent many childhood years playing in the gardens of what is now the courtyard at Linden Row Inn, a boutique hotel in the heart of downtown. And it was in that garden where historians believe Poe first courted Elmira Royster, his life-long love. According to local legend, many believe the garden is the same "enchanted garden" Poe referenced in "To Helen". 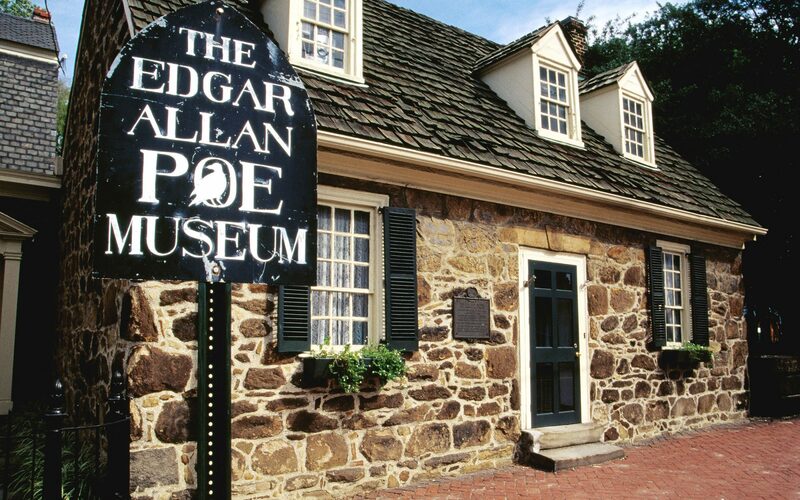 A few blocks from Poe's first place of employment, the Southern Literary Messenger, is the Edgar Allan Poe Museum. Housed in the oldest building in Richmond, the museum contains a massive collection of Poe’s letters, manuscripts, and artifacts like his walking stick, socks, his boyhood bed, and a scale model of the city of Richmond that appears as Poe would have seen it during his time there. As a teenager, Poe was given tutoring to be granted early entrance into the new University of Virginia, enrolling in February of 1826. 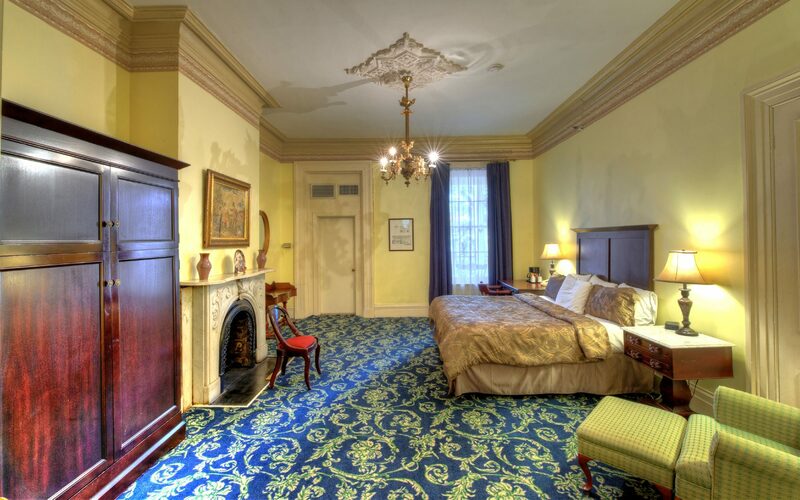 Poe would often host readings of his stories in dorm room, Room 13 on the West Range, which you can see today. Though Poe was only at the university for a short time due to financial difficulties, the room showcases what it would have looked like during his stay in the early 19th century, with voice recordings describing what the author's time at college was like. 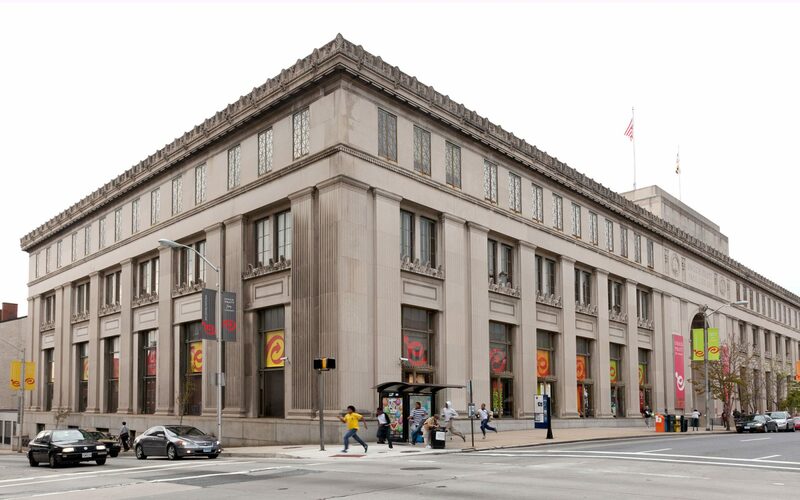 At the Enoch Pratt Free Library, visitors can get a look at Poe artifacts including a lock of his hair, a piece of his coffin, original letters, and a collection of rare books and manuscripts. The library has a room dedicated o the author on the second floor, with curated tours that take you through the author's fascinating life. Baltimore is also where Poe ultimately met his demise under mysterious circumstances. You can visit his grave at Westminster Hall Burying Ground, known for its architectural design as it was built on raised arches. 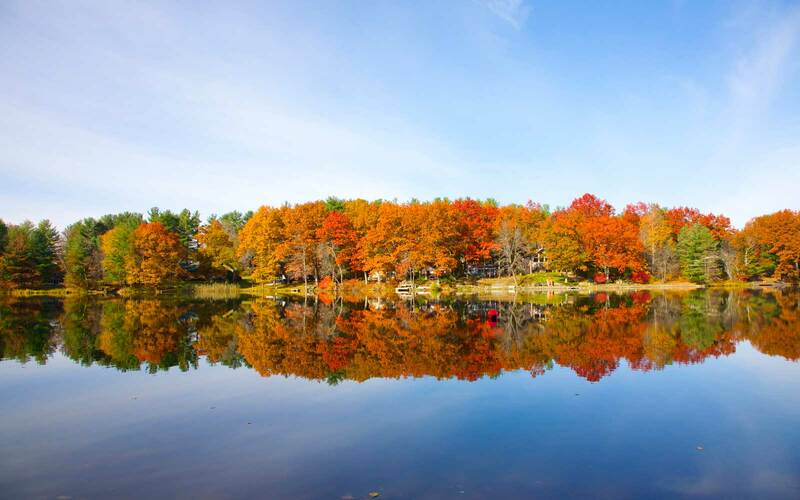 Poe, his wife Virginia, and her mother, Maria Clemm, were all eventually buried in the grounds, which is also the final resting place of famous generals Sam Smith and James McHenry. 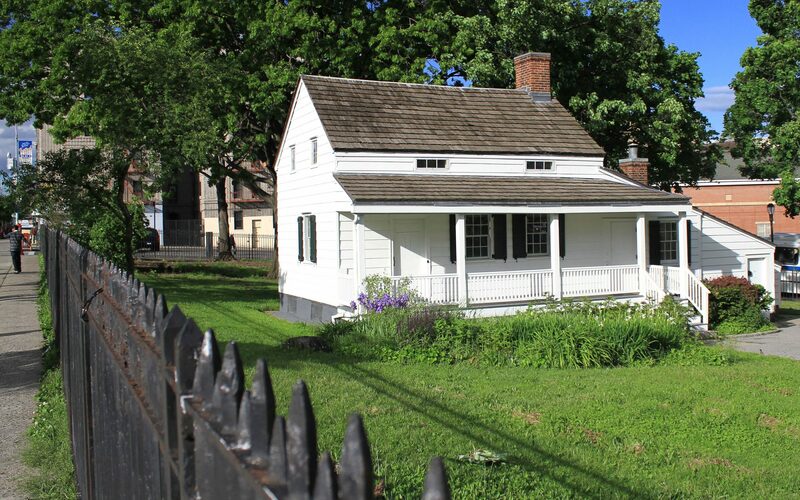 The white frame farmhouse where Poe stayed originally stood on Kingsbridge Road, but was moved to its present location in New York’s Poe Park. 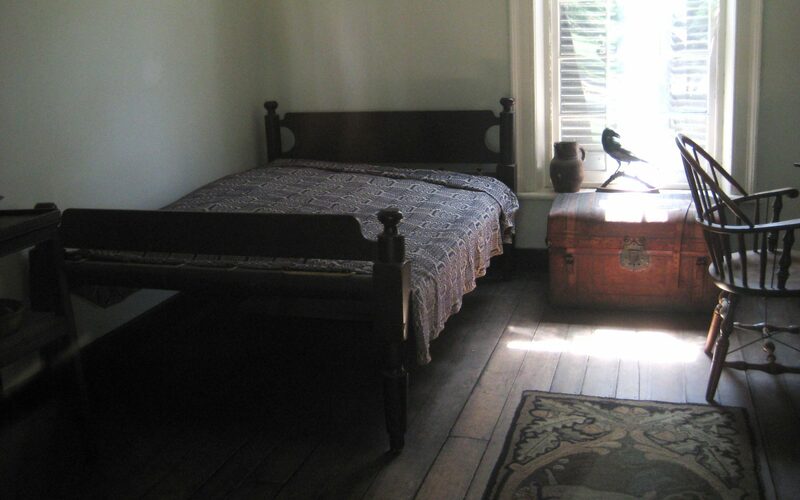 Inside, you’ll find a narrow staircase leading to a tiny bedroom where Poe and his wife, Virginia, resided and period pieces reflecting what the home looked like during their time, including Poe’s original furnishings of a mirror, a rocking chair, and the bed where Virginia passed away. While Poe occupied several houses during his time in Pennsylvania, only one remains in Philadelphia’s Edgar Allan Poe National Historical Site.Open Friday through Sunday, tours of the home include a descent into its spooky basement, speculated to be the inspiration for "The Black Cat"
The nearby museum describes the life and legacy of the author, with various interactive displays, while a reading room hosts a wide variety his works, with events that include readings of Poe's poems by celebrities like Christopher Walken. 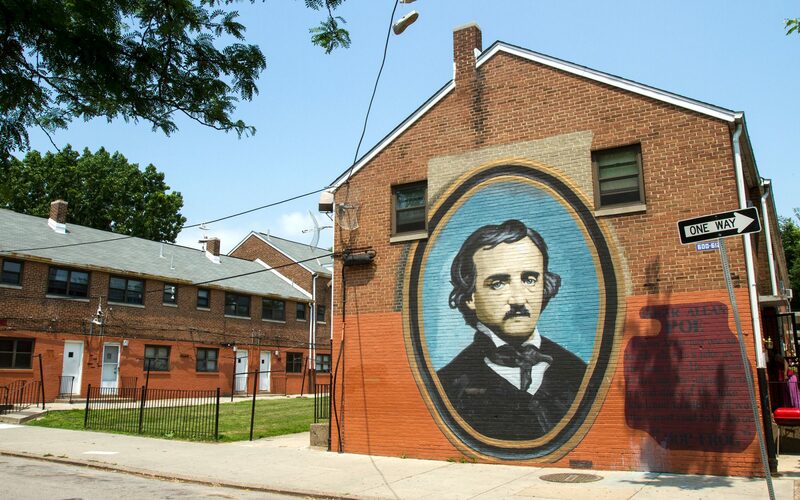 This year, the site will also be hosting its first Edgar Allan Poe Arts Festival on October 28 for $10, letting you walk through his home at nighttime and see character’s from his works. For a fun Poe-themed eatery, head to Poe’s Tavern in Sullivan’s Island, South Carolina, where Poe spent his late adolescence. The tavern’s walls are lined with portraits, and even the restrooms have Poe’s stories and poems across the walls. The spot serves tender burgers named after the author’s works. 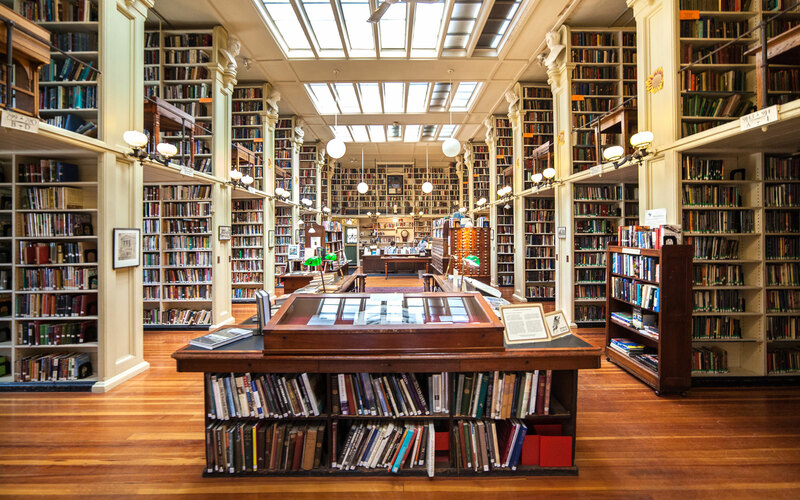 Poe also traveled to Providence, Rhode Island, in September of 1848 to meet Sarah Helen Whitman, who would often spent time at the Providence Athenaeum library and cultural center. During one of their meetings in the library, Whitman shared a new poem with Poe titled “Ulalume” that was published anonymously. Years later, Whitman discovered the poem there with Poe’s signature in pencil next to the poem after he revealed himself as the author. Today, you can see the book the poem was in, titled American Whig Review, and signature remain in the Athenaeum Special Collections. Poe had several bars he favored, including the Worthen House Café, in Lowell, Massachusetts. As Lowell’s oldest tavern and restaurant, the space takes visitors into the past, with a piece of paneling located behind the bar revealing a secret collection of hidden bottles dating back to the Prohibition era. Poe is said to have been a frequent visitor to the bar, and is rumored to have written some of “The Raven” during his time there. You can also catch a series of events taking place for Poe-tober in destinations like Athens, Georgia, where there will be readings, book discussions and Poe-themed craft events taking place from October 4 to November 1. Baltimore will also have activities ranging from a Poe-themed masquerade ball to a new exhibit at the George Peabody Library, where visitors will find first editions of Poe’s writings and works like “The Raven” written in Poe’s own handwriting, starting October 4 to February of next year.